Lately, I have been having great fun sharing BOOM! BELLOW! BLEAT! by Georgia Heard with classes when I sub. It’s such a fabulous mentor text. Georgia graciously answered my questions as well as a second and third grade grade class. ST: Why did you think of animals to write this book? What made you write about this? GH: I love listening to animal songs. It makes me happy when I’m outside and I hear a bird singing in a tree, or I listen to spring peepers peeping a spring chorus, or crickets chirping their summer concert. We have an animal orchestra all around us and, even those animals that we can’t hear or see, have a song or a call and a way to communicate just like humans do. ST: How did you think to create this book? GH: I grew up with 100 acres of woods behind my house and I listened every day and night to the sounds of the forest. I saw a video once of a forest where all the trees had been cut down and it was completely silent – no bird songs, or insects buzzing. I kept thinking that if the world were silent, and we couldn’t hear birds’ singing, frogs calling, and other animal sounds, we would miss one of the amazing ways animals make our world beautiful with their songs. I wanted readers to listen, and read the animal sounds in Boom! Bellow! Bleat!and be delighted by the poems and songs. Maybe then when we talk a walk outside we’ll notice all the sounds around us. ST: Why did you choose those animals? Why did you decide to include facts in the book? GH: I chose some of my favorite animal sounds but I also wanted to include animals that I didn’t know much about. For example, I was surprised to learn that fish are very noisy creatures, and I was amazed to discover that the tiny snapping shrimp is one of the loudest creatures on the planet. 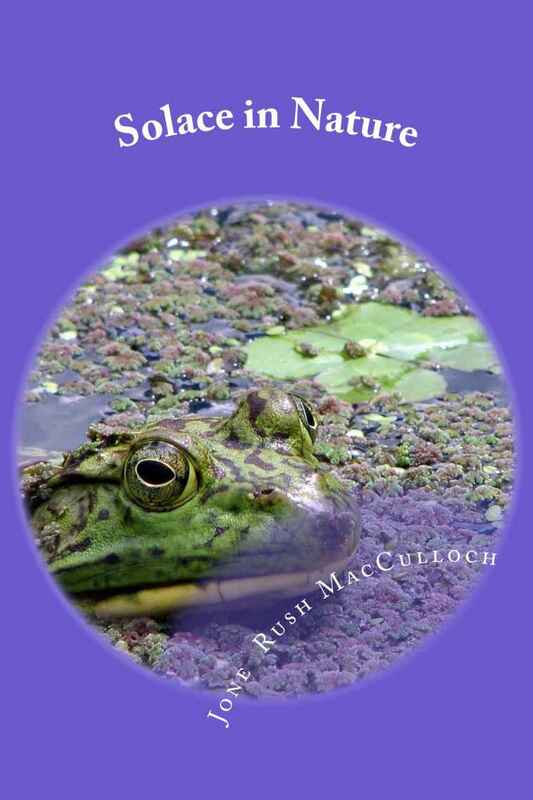 I included facts in the back of the book so readers could learn more about the animals such as how and why they make their sounds. ST: How did you study the animals? GH: I did quite a bit of research mainly from books, and scientific articles I found on the internet. I also listened to videos of animals making sounds so I could try to find the right words to describe their sounds. ST: What animals do you wish you had in the book? GH: One of my favorite animal sounds is the hoo-hoo-hooof a barred owl. When I visit my family in New Hampshire a barred owl always serenades us at night as we sleep. I tried writing a poem about a barred owl, and I worked on it for months, but it never come out like I wanted. So, sadly, I had to leave the barred owl out of the book. ST: How long did it take? It took about three years to write and revise all the poems. I had many wise revision suggestions from my editor, and I also had a science editor read the poems, and the Nature’s Notes in the back of the book, to make sure that all the information and facts about the animals were 100% correct. ST: Could the sound of the snap of the Bigclaw Snapping Shrimp make you deaf? GH: I sound of a snapping shrimp could harm your hearing if the snapping shrimp snapped its claw right next to your ear. But because water absorbs sound I believe that some of the loudness would be absorbed and the damage to your ears wouldn’t be as severe. JRM: Were there some animals that you wrote about but they didn’t make it into the book? GH: (repeat from above) One of my favorite animal sounds is the hoo-hoo-hooof a barred owl. When I visit my family in New Hampshire a barred owl always serenades us at night as we sleep. I tried writing a poem about a barred owl, and I worked on it for months, but it never come out like I wanted. So, sadly, I had to leave the barred owl out of the book. JRM: What surprised you the most about the book? GH: The more I researched animals, and their sounds, the more I was amazed by the variety and beauty of their songs. I was surprised every day as I was writing the book! For example, I never knew that most of what elephants say to one another is infrasonicmeaning humans can’t hear their sounds, and that scientists in Africa are working on an elephant listening project to create an elephant dictionary of their complex sounds. Since scientists can’t hear most of their sounds, they record the elephants, then play back the recording slowly so they can hear what the elephants are saying. JRM: How did you decide the order of the book? GH: I knew I wanted to begin the book with “Animal Songs” which describes a bunch of different animal sounds and makes the connection that humans make sounds for similar reasons as animals because, after all, we’re animals too. And I knew I wanted to end the book with “Forest Orchestra” which is about the forest sounds I listened to when I was a girl growing up with the woods behind my house. Plus, it kind of makes a BIG ending with a lot of different animals singing together. I also wanted to vary animal sounds across the book so, for example, I placed the snapping shrimp’s loud but short snap… BANG! next to the melodic WOOOOO’s of the Humpback Whale, and so on. This week, I’m sharing the work from the room I subbed in last week. This is a 3rd through 5th grade classroom. I read Georgia Heard’s BOOM! BELLOW! BLEAT! And on tomorrow, I will have an interview with Georgia Heard. And on Friday, I will have an interview with Georgia Heard. I interviewed Laura Purdie Salas about her new book IN THE MIDDLE OF THE NIGHT in March. That interview is HERE. Then I had an opportunity to work with a fourth grade class. We made a list of classroom inanimate objects. I am featuring their poems all week. Then I had an opportunity to work with a fourth grade class. We made a list of all the inanimate objects in the classrooms. I am featuring their poems all week.